With the holidays behind us, you might be looking at a pile of gifts bestowed to you by wonderful friends and family. If you’re lucky, you received things that you need or are particularly special or significant. However, chances are you got some items that don’t fit your lifestyle or personality. Here are a few important guidelines to make sure the recipient is just as thrilled to receive your gift as you are to give it. Think carefully about the person you are gifting to. What is their living situation? What are their hobbies and interests? What are their practical needs? Be mindful that while re-gifting can be good for your wallet and the earth, it doesn’t do anyone any favors if the item isn’t useful or a good fit for the recipient. If the item isn’t a fit for anyone in your life, consider donating it or selling it online or at a local consignment shop. What is the occasion? If it is a baby shower or wedding, you may want to take a look at their registry and make sure your gift aligns with their needs and wants. If you realize the item isn’t appropriate or the person may not use it, save it for another time or another recipient and shop off of their registry. If budget is an issue, consider teaming up with other family members or friends to go in on a higher-end gift for the recipients. One higher-quality item off a registry will most likely get more use than a few smaller items. If it’s a birthday or other holiday where there most likely isn’t a registry to refer to, just keep all of the other guidelines listed here in mind. If possible, pack the item in the original packaging. At the very least, make sure the item is freshly laundered and/or sparkling clean. The internet is a treasure trove of natural, non-toxic ways to clean almost any item. For example: check out my favorite DIY stain remover for clothing. This should be a no-brainer but do not under any circumstances gift someone an item that is dirty, torn or tattered in any way. Hand-me-down clothing or items with wear-and-tear can definitely be given to family or friends who ask for them and/or are aware of the condition, but they shouldn’t be considered a gift. 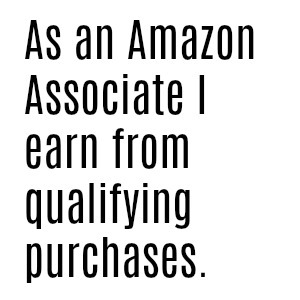 This holds especially true for sports/outdoor gear and clothing for adults and kids and toys/play clothes for children. Take time to wrap the item carefully and beautifully. Use recyclable or eco-friendly wrapping paper or fabric, and add a nice big bow and creative gift tag. Even when I wrap with newsprint, I try to add a special touch by decorating the paper with colorful writing and ribbons. Or keep it simple with a beautiful (reusable) gift bag. Make sure the item inside is neat – meaning fold clothing and wrap small items individually. Make the gift extra-special, and possibly eliminate some of the anxiety you may have about gifting used (or re-gifting something new) by pairing your gift with something … else. Add a gift card or other items that relate to the gift. For example, include shelf-stable ingredients for a family recipe if you’re giving a baking item. 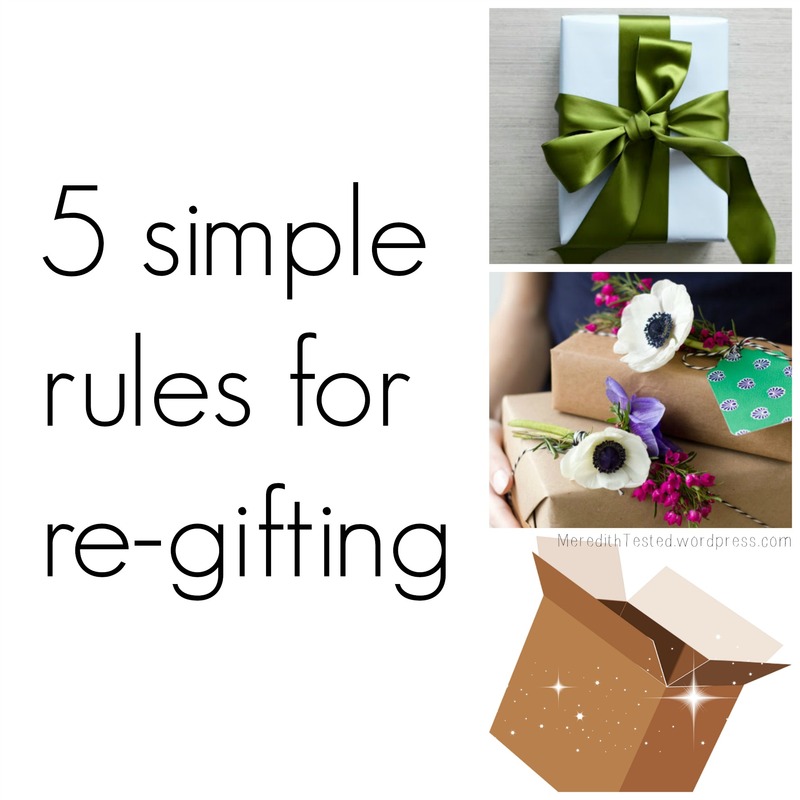 What do you think about re-gifting or giving used items? Yay or nay? I have to admit I am extremely wary of regifting…but you make it sound appealing 🙂 I like your idea of pairing the regifted item with another complementary item! It is definitely tricky but it can be done successfully! Beautiful gift wrap plus a complementary item as you say are the real keys!